The 1st event will take place on MAY 7th. !! !WE WANT TO SEE YOUR PROJECTS!!! one of the products on the list. You do not have to use all of them. MUST USE AT LEAST ONE OF THEM. **There will NOT be a monthly theme—example burlap or door wreaths. **We will not ALL be using the same product each month. **You can do any project that you want as long as you use one of the vendor products and take a picture of your project with the products. **You can post as many projects as you would like but you want to post your best projects if you want to win. **You only need to post (each of) your projects one time. You can post your projects on any of the 5 blogs and we will all see it. It is the same linked party, so there is no need to post to each blog. **Since it is a BLOG HOP-grab the code (just under the linked pictures on the left) and post it to your blog to help pass the word and have more people see your project. will win the entire gift package for that month. plus other special give-a-ways we have that month. Be sure to follow all 5 blogs. and you can come over and vote for your favorites. button and post it on your side bar. Don’t be shy - ASK people for their vote. May 16th until Thursday, May 20th. who received the most votes and announce the products for the next party. We are all looking forward to seeing all of your creative projects. The vendors who have products being used in the linky contest/give-a-way will be participating for an entire year—some of the vendors may have a large list of products and so their products may rotate while others will have the same products every month. We hope the vendor list will continue to grow. **You can use ANY Gorilla Glue Product. **You can use ANY size of DISChangers. **You can use TEXTURE PRODUCTS and ELEGANT FINISHES from DecoArt this month. You can order products online directly through DecoArt www.decoart.com or they are available at most craft stores. These products are located on pgs 36 (Elegant Finishes) and pgs 40-43 (Textures) of their online catalog. 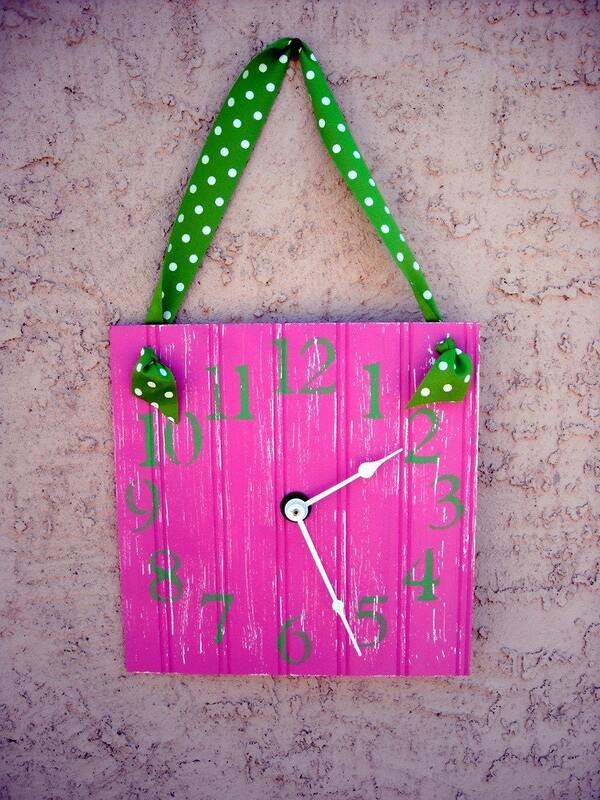 like on her Clock Blog and want to custom order one. You can check out her work and pick what you would like. Check out some of her other designs: clocks by Staci. 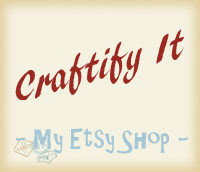 Here is her fun creative blog Craftify It. 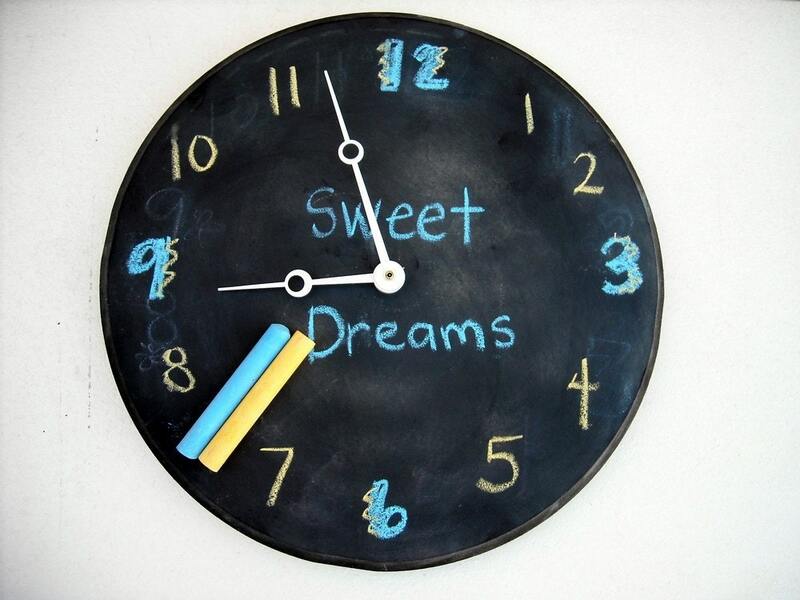 Spread the word about these amazing, creative clocks. **You can click on any of the blog names and it will take you to that blog. **Click on the YELLOW BOX at the bottom and it will take you to a page that will give you all the information you need about the party event that month, including the current vendors and all the extra give-a-ways for that month. **Click on the yellow words at the very bottom of the button to go to the page that will give you all the information you need about the party event that month, including the current vendors and all the extra give-a-ways for that month. **Click on the yellow words on the very bottom of the button to go to the page that will give you all the information you need about the party event that month, including the current vendors and all the extra give-a-ways for that month. **We will show a running list of our winners on the page as well. join us fro DIY Awesomeness! Tooooo cool! (You guys have been busy! Can't wait to see everybody else's projects! Oooooh Holly! That is awesome! Hi Holly. Just wanted to congratulate you on the project but I won't participate. I'm horrible at DIY crafts. If you ever have a "Well..At Least You Tried" club I'm totally in. lol. Oooh...a challange! I love this. Not sure if I can get things together to participate this month or not, but this is one I'll be watching for sure. My oldest is always wanting to do crafts. This just may be the push I need. I am excited. This is so cool. Can't wait to see all the crafts. I totally missed your big SITs day. Belated congrats. Sounds awesome, may be the push I've been needing to finally try Gorilla Glue! Great idea! Looking forward to seeing the projects and getting inspired! Sounds like fun! Looking forward to trying to think something up! This is a really great idea Holly! No promises but I just might jump on board. I have never seen the DISChangers, I could definitely put this to use! Hmmmm... now you have me thinking of some creative ideas. Can't wait to see what you ladies all come up with! Please stop by when you get a chance! Hi Holly does this event include UK bloggers? That is if I can get my hands on some of those acrylic paints.